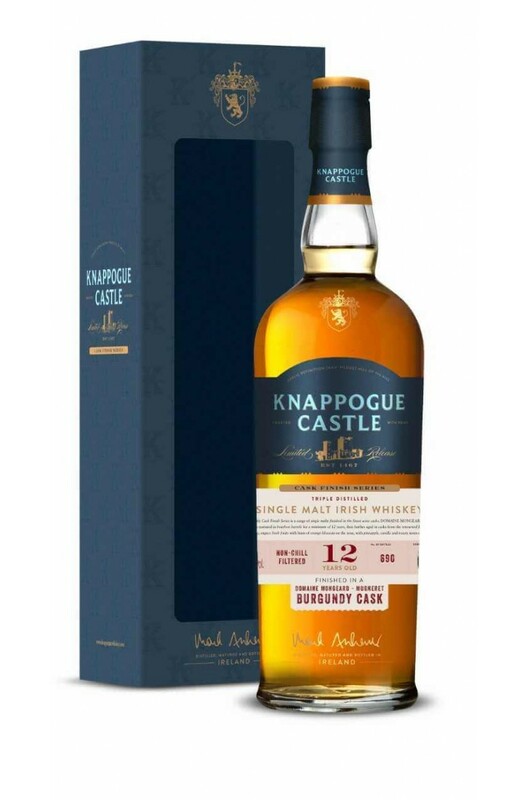 Part of the new 'Cask Finish Series' from Knappogue Castle. This single malt is non-chillfiltered, triple distilled and aged for a minimum of 12 yeaars in ex bourbon barrels before being finished in Domaine Mongeard Mugneret Burgunday wine casks. Limited to just 690 bottles and exclusive to the Celtic Whiskey Shop! Finish Finished in a Domaine Mongeard Mugneret Burgundy wine cask.